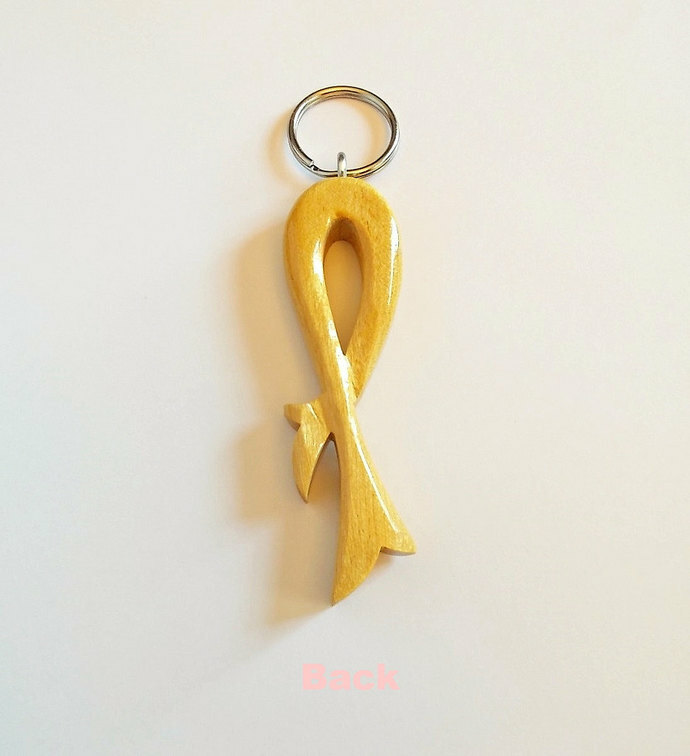 Yellow Ribbon Keychain in solid Pau Amarello Wood. 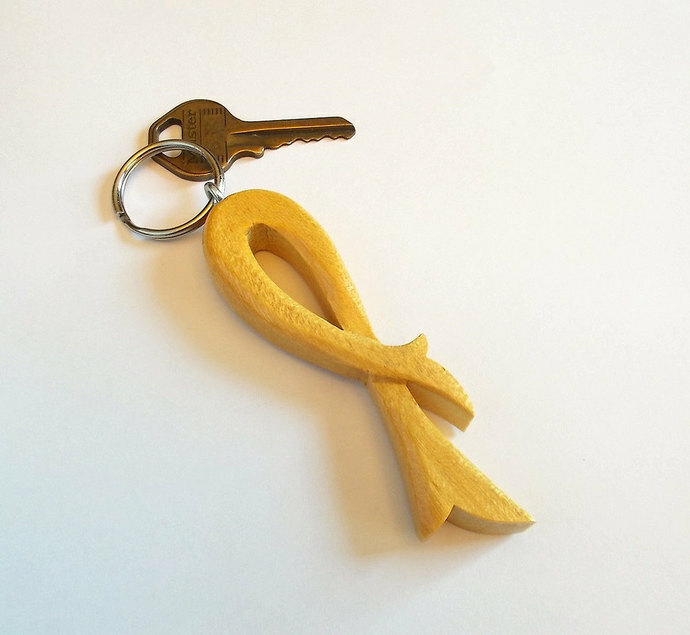 This keychain is free-form carved and shaped by hand in bright yellow Pau Amarello (Yellowheart) from Brazil. 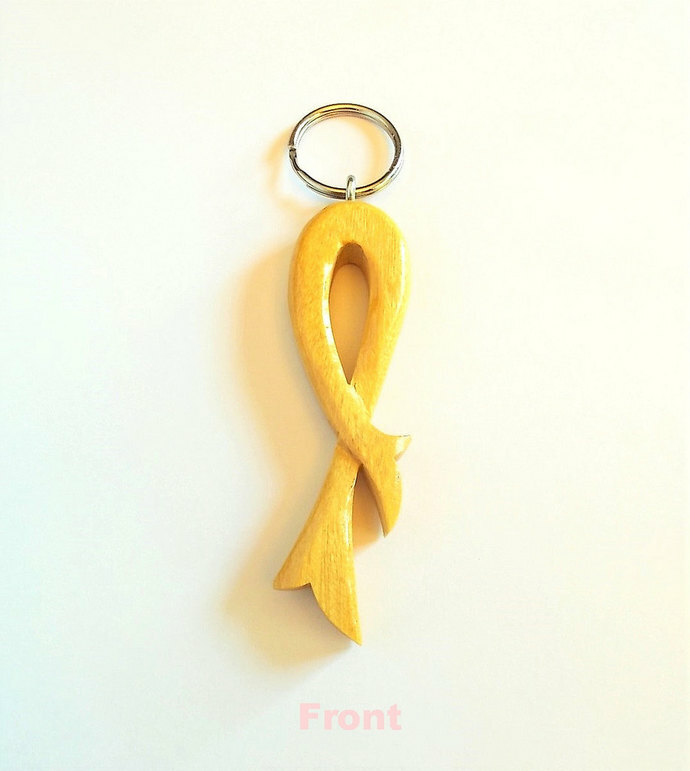 It is naturally a lustrous bright yellow and holds its color well. 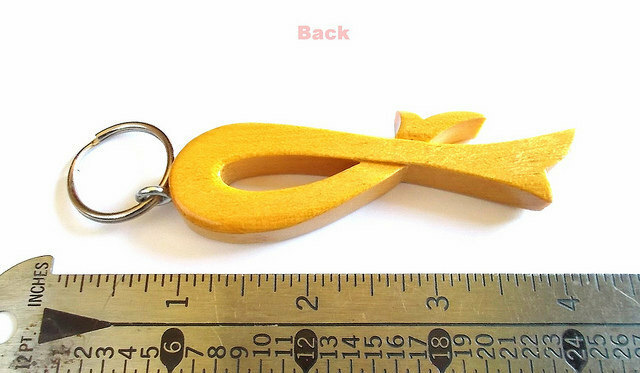 It is finished with 3 coats of clear lacquer and measures approximately .375 inch thick, 1 inch wide and 4.25 inches long with the 1 inch split ring. 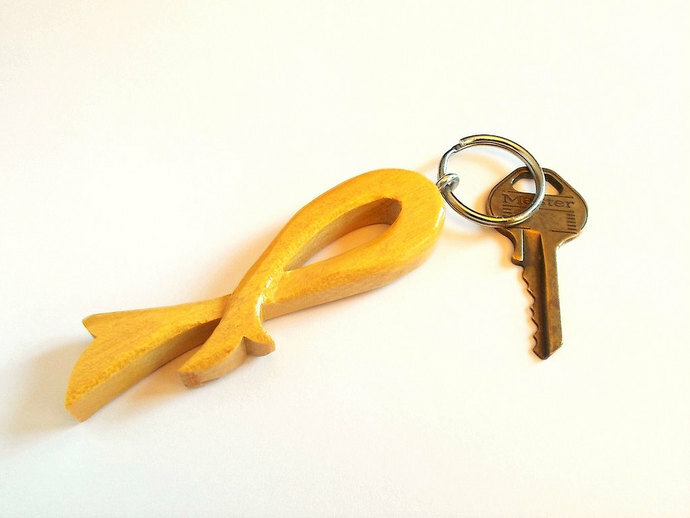 Being individually handmade, each is slightly different. I will ship it next available mailing day.